A fluid, long-lasting matte foundation with SPF 20 that offers coverage and luminous skin. From textiles to cosmetics: Inspired by a fine milling process, this water-based matte foundation fuses a soft, velvet texture and SPF 20 UV protection, for a fresh appearance. 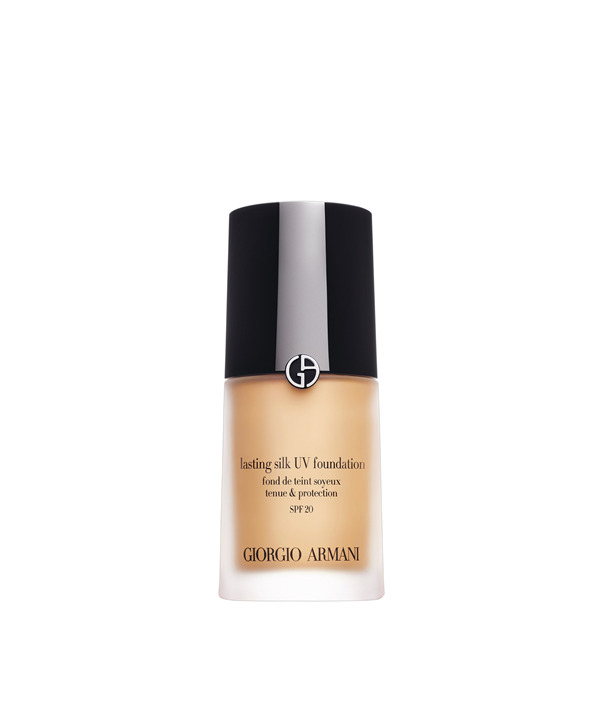 Lasting Silk UV Foundation is advisable for oily skin types.